Image of the Month: William Blake, Sealing the Stone and Setting a Watch (c.1800-1803). William Blake, Sealing the Stone and Setting a Watch (c.1800-1803). Watercolor, with pen, in gray ink, black ink and graphite on moderately thick, slightly textured, wove paper. Yale Center for British Art, Yale Art Gallery Collection, Everett V. Meeks, B.A. 1901 Fund. In an ‘Image of the Month’ in February, I wrote about Blake’s watercolour Mary Magdalen at the Sepulchre (c.1805). In this post, I’m jumping back a bit to another of Blake’s watercolour illustrations to the Bible, Sealing the Stone and Setting a Watch (c.1800-03), which depicts a moment slightly earlier in the biblical narrative, and was probably also produced several years earlier (the exact dates of these works are not known, but they have been assigned dates based on stylistic features). The text illustrated is Matthew 27:66 which describes the sealing of Jesus’ tomb on the day after his death and burial. The chief priests and Pharisees had heard Jesus say that he would rise again on the third day, and they feared that the disciples would try to take away the body to fabricate a resurrection. They therefore asked Pilate to secure the tomb, so he sent a watch and instructed them make the tomb as sure as they could (27:62-65). In Blake’s illustration, the task is being undertaken very diligently. At the centre of the design is a young man balancing on a ladder, holding a palette of cement and a knife. He is turning to his right, directed by a priest standing below who appears to be pointing out a gap in the cement for the young man to seal. There are two more priests to the left of the ladder, and five soldiers are standing guard. This is a relatively unusual subject, which is perhaps unsurprising; illustrators of the New Testament have tended to focus on the acts of Jesus and his disciples, not on those of Jesus enemies. We cannot be certain whether the subject was chosen by Blake or by his patron, Thomas Butts; either way, its inclusion in the series of biblical illustrations emphasises that the tomb was firmly shut. Thus, when Blake added The Angels Hovering over the body of Christ in the Sepulchre (c.1805, V&A) to the series, he was giving the viewer privileged access to a scene inside the firmly-sealed tomb, and then in The Angel Rolling Away the Stone from the Sepulchre (c.1805, V&A) and The Resurrection (c.1805, Fogg Art Museum), Blake depicts Christ bursting that seal. As a stand-alone design the subject may not have obvious appeal, but in a series of illustrations to the narrative of Jesus’ death and resurrection, Sealing the Stone and Setting a Watch plays a key role. CFP: “Tracing Types: Comparative Analyses of Literary and Visual Sketches (1830-1860)”, Ghent University Belgium, 3-4 June 2016. “Tracing Types: Comparative Analyses of Literary and Visual Sketches (1830-1860)”, Ghent University Belgium, 3-4 June 2016. In the wake of the pioneering work of Nathalie Preiss and Martina Lauster, a new wave of scholarship has emerged in recent years, which examines nineteenth-century sketches (sometimes referred to as ‘panoramic literature’) from a transnational perspective. Two recent examples of this interest are the special issue of Interférences littéraires, “Croqués par eux-mêmes. La société à l’épreuve du panoramique” (2012), directed by Nathalie Preiss and Valérie Stiénon, and the recent NYU conference “Dissecting Society: Periodical Literature and Social Observation (1830-1850)” (March 2015), organized by Christiane Schwab and Ana Peñas Ruiz. The present call for papers seeks to continue this comparative reflection by placing the spotlight on the comparative analysis of texts and images of specific types and by tracing how these representations vary across sketches from different places, media and editorial contexts. – How do the representations and definitions of a type (or group of related types) vary from one national context to another? – How do different collections, periodicals or editorial contexts inflect a type in different ways? – How do visual representations of a type differ from one another or from literary representations of the same figure? – How does the type transform as it is taken up in other genres, registers or types of discourse? – Does the type exist in a system? Does it belong to a collection or series of types and if so, how does it relate to or interact with other types in the system? How do different collections position the type within their systems? In short, we invite each participant to choose a type (or group of related types) and to trace how it shifts or remains the same across different contexts and in relation to different co-texts. Presentations that explore less known types are particularly welcome. The long term goal of this project is to publish an edited volume exploring these issues. It is our hope that the combined insights of the seminar will allow us to draw a series of general reflections about how portrayals of types shift across contexts, borders and media. We would like to invite expressions of interest in the form of a short abstract (of around 300 words in English or French) describing your idea. Please submit your idea to Leonoor Kuijk at l.kuijk@ugent.be by October 1, 2015. Ready for the 2016 anniversary of Shakespeare’s birth, the Romantic Illustration Network is delighted to announce its digitisation of prints from Boydell’s Shakespeare Gallery, courtesy of negatives provided by Professor Frederick Burwick (UCLA). The Boydell Shakespeare Gallery was open to the public on London’s Pall Mall from 1789 to 1805. Featuring paintings of scenes from Shakespeare by major artists of the day, including Fuseli, Reynolds, and Kauffmann, the gallery was a popular if not a financial success. 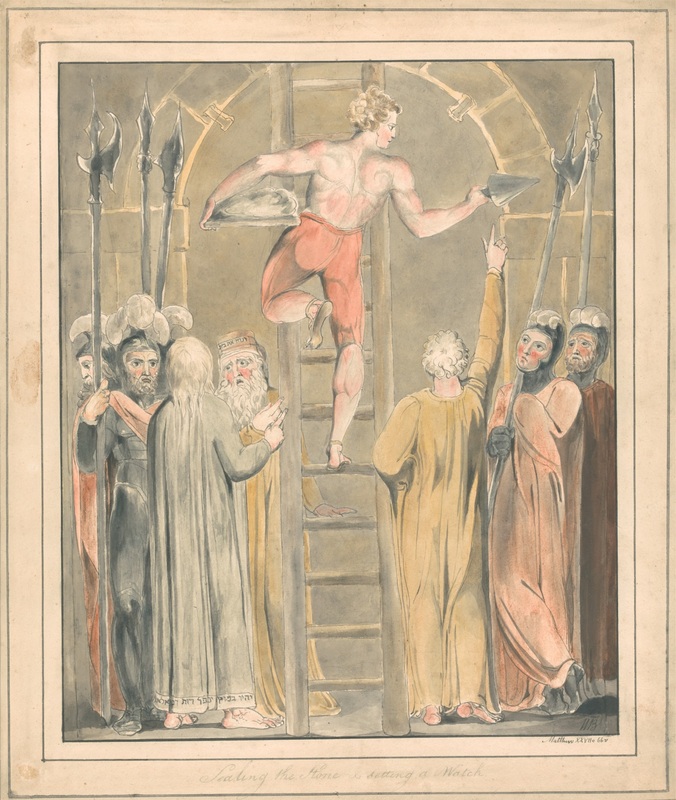 Prints of the paintings were published in volumes (as well as in an illustrated edition of Shakespeare), and are now digitised here by the University of Roehampton for use under a Creative Commons license. Images are arranged alphabetically by play, and new plays will be added over the coming months, so do keep checking back on the site. We have also digitised the front matter from the volumes. Click on the thumbnails to access larger versions of the images, and to view the full-sized image. Once you have clicked on a thumbnail there is space to add comments on each image, and we very much encourage you to do so. If you have any feedback, questions, or suggestions, please do let us know.